The Club and Regional Grades took place at Marriotts on Sunday 25 March 2018. 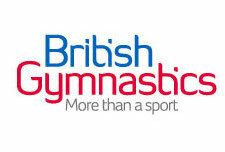 Congratulations to all the gymnasts who took part in and passed their grades. The top 3 in each age group at each level will go on to the Regional Finals which are being held at Pipers Vale in Ipswich on Sunday 20 May 2018.